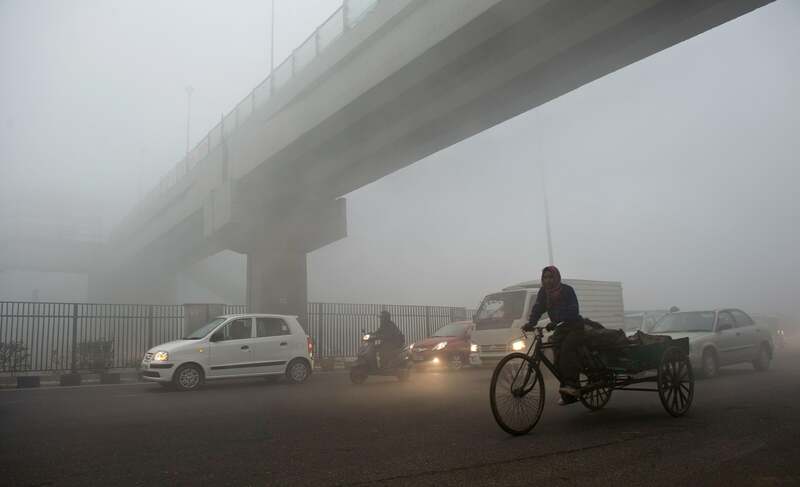 New Delhi's air pollution is twice as bad as Beijing's. An Indian rickshaw puller passes under a bridge in New Delhi on Jan. 31, 2013. Another recent study found that Indians have the weakest lung function in a sample of nonsmokers in 17 countries. It also has more deaths from asthma than any other nation, according to the World Health Organization. So why does China’s air pollution get so much more attention in the international media? Part of it may simply be the fascination of the reading public in the U.S. and Europe with anything having to do with China. There’s also the fact that Beijing’s smog is often marshaled as a worrying sign that despite China’s stunning economic growth, all is not well in the Middle Kingdom. When it comes to international commentary on China, there tends to be an assumption that—whatever our philosophical qualms about authoritarianism, China’s leaders know what they’re doing and whatever happens in the country happens according to their wishes (a point of view that should be known as advanced Friedmanism). When there’s a failure in the system—such as the fact that on several days per year, it’s difficult to see across the street in Beijing—we’re shocked that the central planners could let it happen. In India we’re more likely to assume it’s just the price of being the world’s largest and messiest democracy. There’s also the fact that we tend to conflate the smog issue with carbon emissions, though they are in fact very different problems. When it comes to CO2, India still comes in a distant third to China and the United States.